Drawing from extended fieldwork in La Réunion, in the Indian Ocean, the author suggests an innovative re-reading of different concepts of magic that emerge in the global cultural economics of tourism. Following the making and unmaking of the tropical island tourism destination of La Réunion, he demonstrates how destinations are transformed into magical pleasure gardens in which human life is cultivated for tourist consumption. Like a gardener would cultivate flowers, local development policy, nature conservation, and museum initiatives dramatise local social life so as to evoke modernist paradigms of time, beauty and nature. 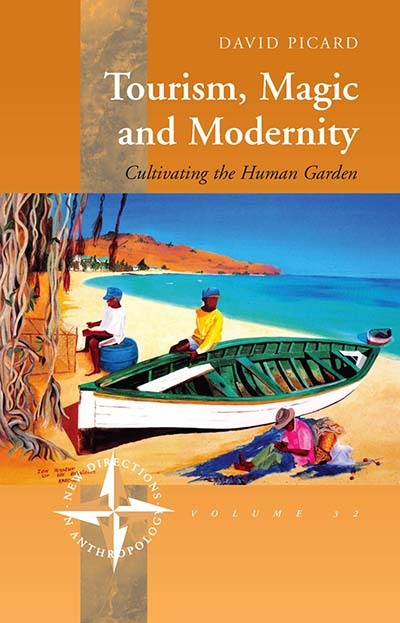 Islanders who live in this 'human garden' are thus placed in the ambivalent role of 'human flowers', embodying ideas of authenticity and biblical innocence, but also of history and social life in perpetual creolisation.